Prince Genji falls in love with his stepmother, and so begins a forbidden love that will make him suffer his whole life. Genji’s love story involves him falling for many women and begins with his love for Princess Fujitsubo—his father’s wife and his stepmother. And Genji will cross that line which he should never cross. 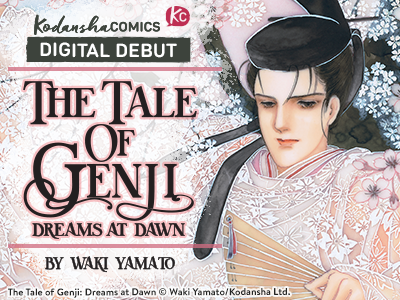 The English-language digital debut of The Tale of Genji: Dreams at Dawn coincides with the opening of the exhibition “The Tale of Genji: A Japanese Classic Illuminated” at The Metropolitan Museum of Art in New York City—featuring original genga artwork from this manga—in Spring 2019.